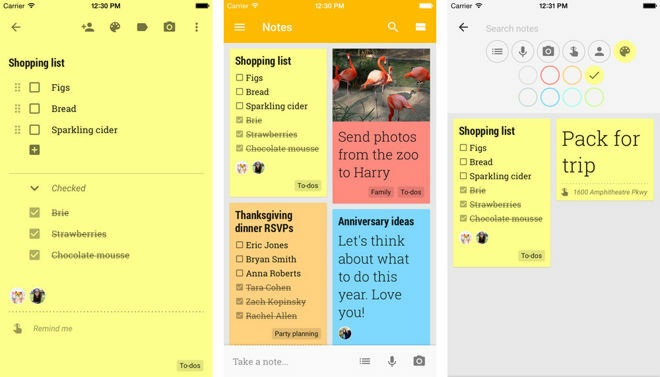 Google Keep for iOS lets users make notes and lists which automatically sync with companion apps on the Web and Android. Each note can include labels, photos and audio, and different background colors. More advanced features include location- and time-based reminders, and the ability to automatically transcribe voice memos. Likewise, the app can scan an image for text to make it searchable later. Multiple users can collaborate on notes and lists simultaneously, a given example being two people checking off items on a shopping list. Google Keep is a free download and runs on any device with iOS 8.0 or later. The biggest improvement in Pixelmator may be support for true multitasking on the iPad via iOS 9's Slide Over and Split View modes. The latter lets users "snap" a second app alongside the first, much like Windows, but requires an iPad Air 2, Mini 4, or iPad Pro. The app now also supports 8K-resolution images, and can copy the entire working image to the iOS clipboard. Other new commands include "Open in Place" —which will open a file from anywhere and save to the same location —and "Save to Photos," which will open an image from Photos and overwrite it whenever changes are saved. 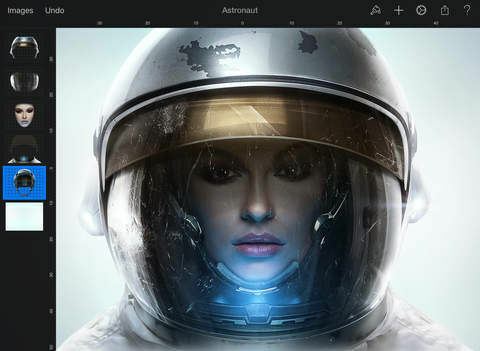 Pixelmator costs $5 and now requires a device with iOS 9.